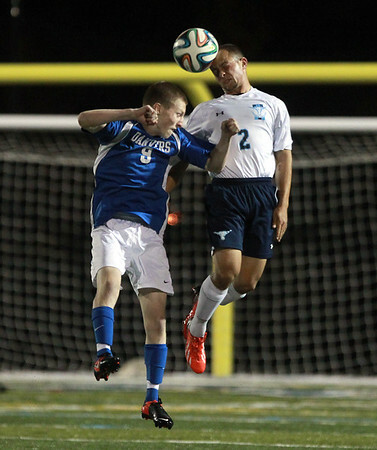 Peabody senior Christian Morales (2) wins a header over Danvers senior Chris Davis (9) during the first half of play on Tuesday evening. DAVID LE/Staff photo. 9/30/14.